This page is for all orders for Indonesia. All products on this page are 110v electricity. All products ordered from this page are in 220v electricity, and are in US currency. There is no extra charge for 220v electricity products, but it may take 7-45 days for delivery because this is considered a special order. International shipping charges may vary depending on your shipping address. If there is a difference between the shipping charge in the shopping cart and actual cost, we will contact you with the adjusted amount for your approval before your card is actually charged. Contact us via email if you have any questions or to request a shipping quote to your address. You are responsible for any import fees. This package comes with a massage-table size Bio-mat (27.56"w x 74"h) for all-purpose functionality and ease of mobility. Great tool for massage therapists and chiropractors, it comes with a hard shell travel case with wheels and handle for ease to carry the Biomat, and 100% cotton padded cover. This is an U.S F.D.A. Approved Class II Medical Device. 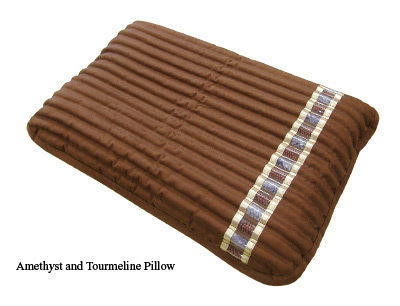 And includes the Bio-mat™ mx Amethyst and Tourmaline Pillow which features a therapeutic shape to provide additional support for your neck while comfortably cradling your head. $100 Professional discount with copy of license. The Professional Bio-mat is also available without the pillow. This is the massage-table size Bio-mat (27.56"w x 74"h) for all-purpose functionality and ease of mobility. Great tool for massage therapists and chiropractors, it comes with a hard shell travel case with wheels and handle for ease to carry the Biomat, and 100% cotton padded cover. This is an U.S F.D.A. Approved Class II Medical Device. Measures 17"w x 33"h. Perfect for Dental, Office, or anywhere a contoured shape is needed. Measures 39.37"w x 77.81"h. Fits nicely on a twin bed. Measures 55.11"w x 77.81"h. Comes with dual control to adjust settings on each side separately. "The first week I slept on my Bio-mat, I was waking up after 3-4 hours because I was getting hot. I had the setting at the 2nd green light and 2 blankets, but I wasn't using the pillow. So I took the case off the Amethyst and Tourmaline Pillow and put it under my pillow on top of the Bio-mat, and ever since then I have been getting 6-8 hours of restful and quality sleep each night. The Amethyst and Tourmaline Pillow is a must. I won't sleep without it." We are not responsible for any import fees. Click here for other countries: U.S., Canada, International Orders for countries not listed, Hong Kong, China, Asia, United Kingdom, Australia, New Zealand, Austria, Spain, Greece, Sweden, Norway, Germany, Switzerland, South America (Argentina, Brazil, Venezuela, Peru), Guam, US Virgin Islands, Alaska, Puerto Rico, Mexico.